Jus Allah (born James Bostick) is a Rapper from Camden, New Jersey who made his debut on Jedi Mind Tricks second album Violent By Design in 2000. A short while after the release of Violent by Design, Jus Allah left the group to start his solo career at rapper Virtuoso's label Omnipotent Records. He released a 12" single entitled White Nightmare on the label, the b-side track being Reign of the Lord. In 2005 he left Omnipotent Records and joined Babygrande Records, and dropped his first solo album, All Fates Have Changed. In early 2006 an album called Necronomicon was released featuring both Jus Allah and Boston rapper Bomshot as rap duo The Devilz Rejects. In interviews Jus Allah stated that he had absolutely nothing to do with the album (Necronomicon), and that he was not being paid for it. The new verses on the album were most likely just old, unreleased recordings from his prior label Omnipotent Records. 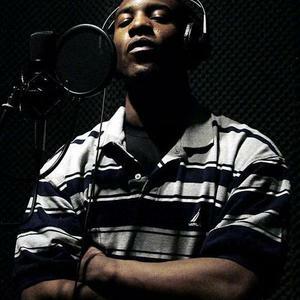 Jus Allah is currently working on his sophomore album entitled The Colossus which is set for a winter of 2006 release. He recently rejoined the rap super group Jedi Mind Tricks and released the first new track with him and Vinnie Paz entitled The Rebuilding.